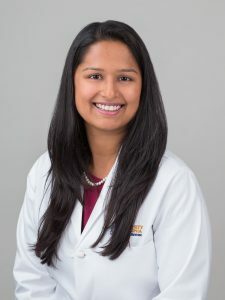 Congratulations to Dr. Sana Syed one of our own at the Child Health Research Center. She has been selected to be part of the THRIV Scholar Career Development Program. Every year the Translational Health Research Institute of Virginia (THRIV) chooses up to 5 candidates to be a part of the two-year Career Development program. 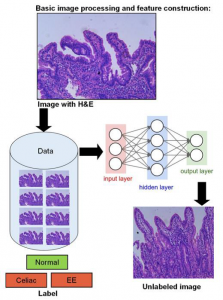 Dr. Syed’s project focuses on the development of an image analysis platform for the automated extraction of quantitative morphologic phenotypes from duodenal biopsy images taken from undernourished and healthy children. She also aims to develop methods in data science to support the integration of this data with clinical and molecular data, enabling the construction of biologically informative and clinically useful integrative prognostic models, in her case in pediatric undernutrition. The Translational Health Research Institute of Virginia (THRIV) is a transformational cross-Grounds collaboration that leverages the latest advances in data science to accelerate innovation in health-related research and facilitate team science. The THRIV Scholar Career Development Program aims to train the next generation of clinical and translational researchers in principles of data science, the conduct of rigorous and reproducible science, and to promote team science as a means to enhance innovation and discovery. Sample of image analysis platform.